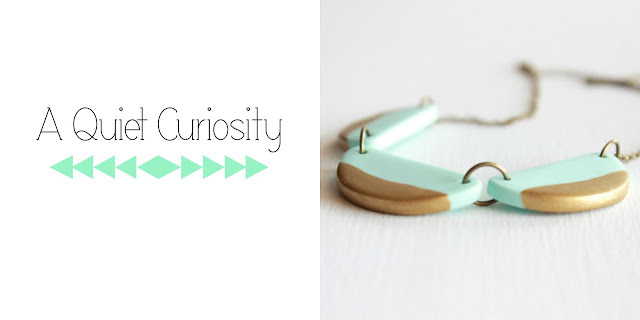 Welcome to the 2013 Handmade Holidays Gift Guide - where we celebrate all things handmade and support small businesses. This is truly the best of both worlds for me, as I share some amazing handmade wares, promote my favorite online boutiques, and help all of you out with your Christmas shopping. Every vendor listed in the gift guide this week will have a discount code, so now's your chance to get amazing products at a discount from the comfort of your own homes. 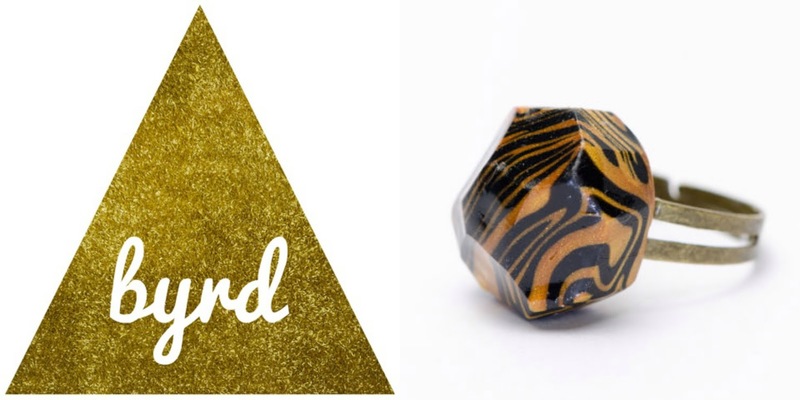 The Gift Guide will be 5 days of features in the following categories: Paper, Jewelry, Accessories, For the Littles, and Wear ((online boutiques)). On Saturday, get ready, because there is a MEGA giveaway. You won't want to miss it. Without delay, let's keep the momentum with the "Jewelry" category! 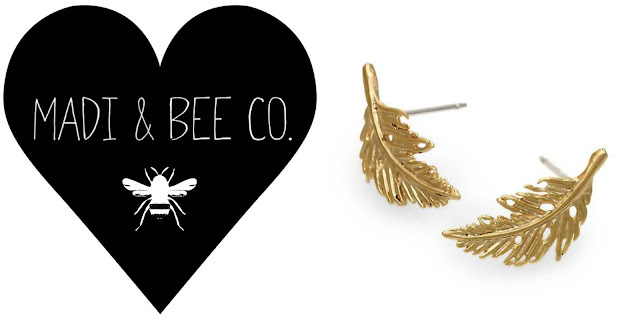 Basil and Lola jewelry is handmade with so much stinking love you are going to feel it when you wear it. 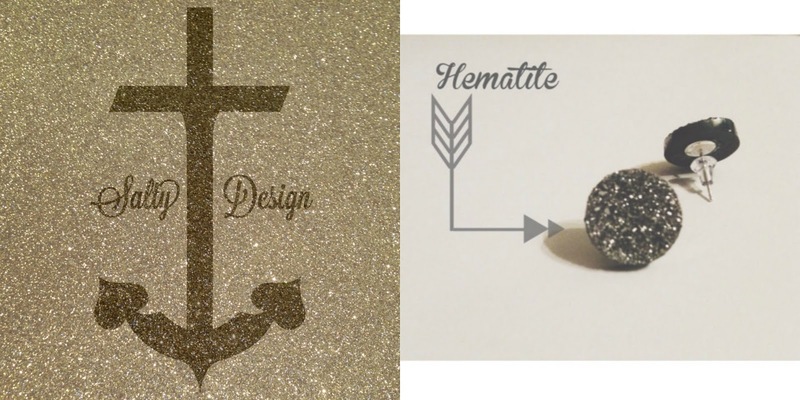 The metal components in each piece have been hand carved by designer Elisa using the lost wax casting technique. This ensures that every item found in her shop is a unique and special piece of awesome. 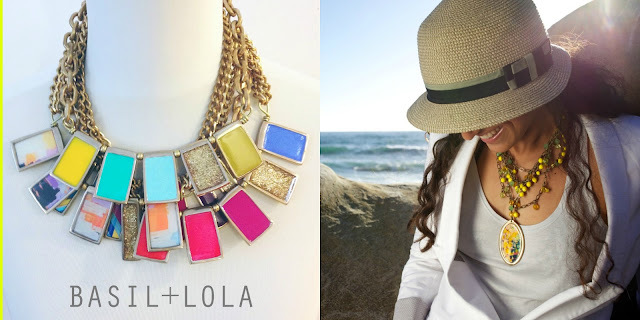 Discount: OHSWEETJOY will get you a discount 15% off! 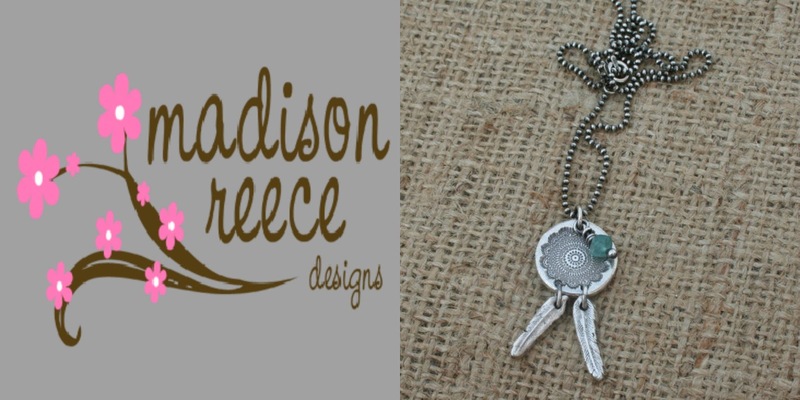 My name is Melissa and I am the designer behind Madison Reece Designs. I make all sorts of custom monogrammed jewelry specializing in Silver Clay. I have been making handmade jewelry since 2007. 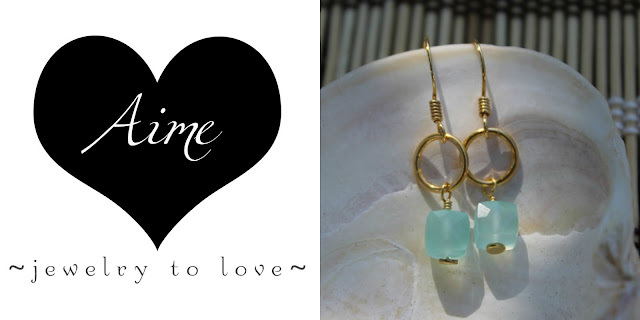 Aime Jewelry is an ongoing pursuit of beauty. Inspired by the beaches, ocean, and landscape of Hawaii and the city lights, deserts, and mountains of California, all of the jewelry you find here will be hand made with the highest quality of materials. A Quiet Curiosity is a colorful shop offering modern, handmade jewelry and accessories. Each piece is inspired by vibrant colors, geometric patterns, and bold designs. Discount: OHSWEETJOY will get you Free ((Domestic)) Shipping! Byrd Handmade offers unique accessories from colorful rings, necklaces and bracelets to wire headbands. Never leave home without accessorizing. Cool Water Gems: Country and beach inspired handmade jewelry. 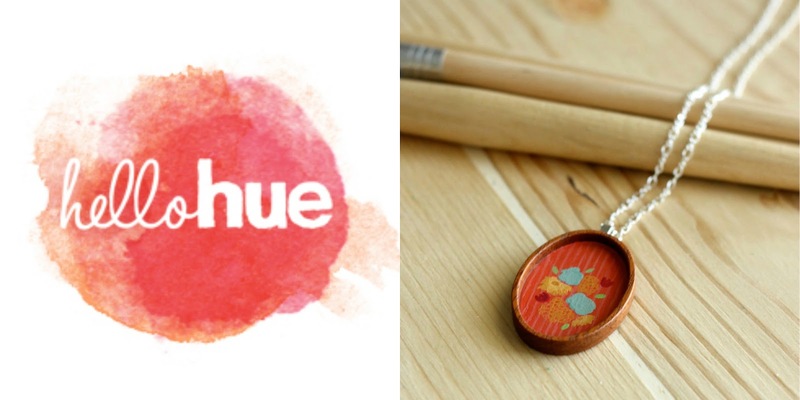 At HelloHue Studio, I love having the privilege of adding more happy color to your walls, desks, and wardrobes. My bright and fresh artwork is hand-painted on notebooks, canvases and necklaces and my prints add some whimsy and inspiration to any wall. 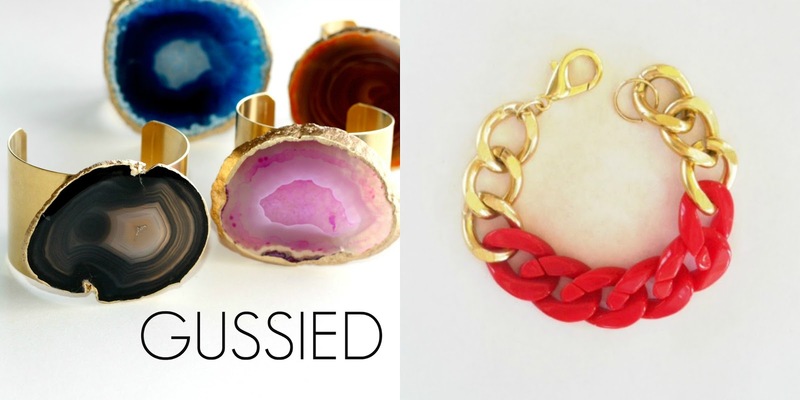 Nestled offers a collection of colorful and fun statement jewelry, that's both unique and affordable. Each piece of jewelry is carefully handmade with pride in northeast Ohio, and will make a perfect gift this holiday season! Vintage Gone Glam / Make a serious statement with my jewelry pieces, made from gemstones, unique beads, vintage finds and more. 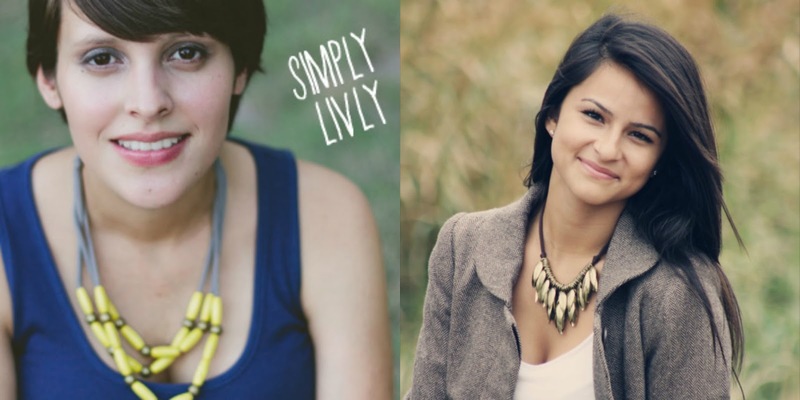 Simply Livly creates comfortable statement necklaces handmade with soft cotton jersey and a variety of beads (stones, wood, metals). One size fits all. Adjustable to any length, just simply knot or tie the cotton for the perfect fit. Beautifully packaged gifts for girlfriends, teachers, daughters, nieces and just about every lady on your list! Discount: OHSWEETJOY2013 will get you $10 off any order $11 or more! 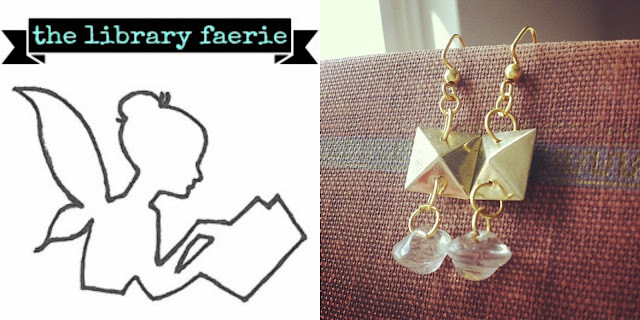 I am a librarian, a huge bookworm, and a lover of all things vintage—I love anything that has a story to tell. I create jewelry, mainly using vintage buttons, and often inspired by my favorite books or bookish vibes. Discount: OHSWEETJOY will get you 10% off any purchase! Salty design creates custom jewelry & accessories made with love from our home to yours. 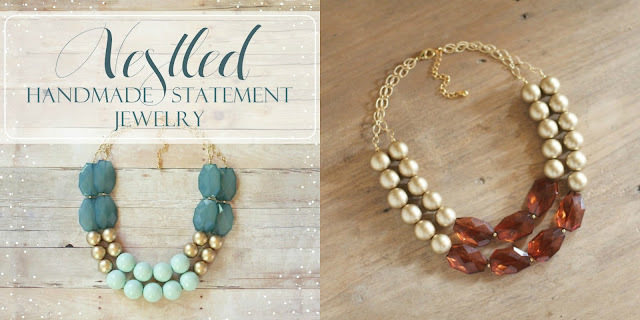 From our wire wrapped pieces to our hair flowers each order is made by hand & we happily take special requests since we believe that our jewelry should be made to fit your style & not the other way around! Our shop offers classy and trendy accessories including scarves, handbags, bracelets, rings, statement necklaces, and monogrammed items. SO. MUCH. GORGEOUS. JEWELRY! Right??? It's hard to shop for others when I want something from each of these shops ;) Enjoy those discount codes, y'all and join us tomorrow for the "For the Littles" category. What incredible finds! LOVING Basil & Lola, to start - I haven't even gotten to the rest yet! Thanks for sharing, Kim. I've been in love with her work for YEARS. One day I will make the commitment and buy a piece - maybe now with the discount code!! Those jewelries are really gorgeous. They are really darlings. And they are on pretty great deal too. That make it a perfect gift for a love one this Christmas. Thanks for the share! 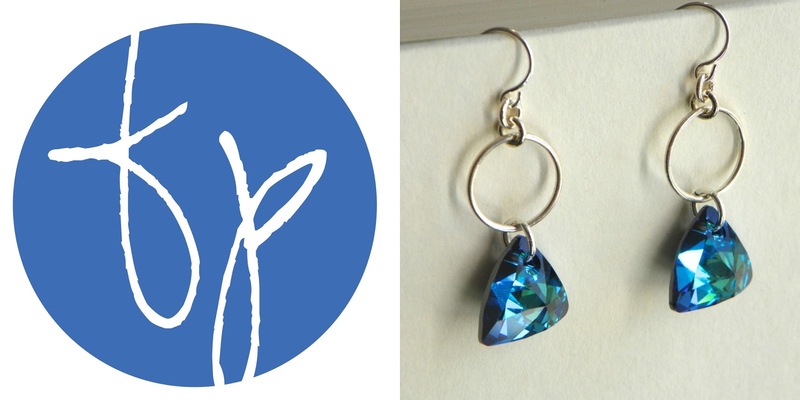 I have been looking all over some handmade jewelry for my mom since her birthday is coming up! 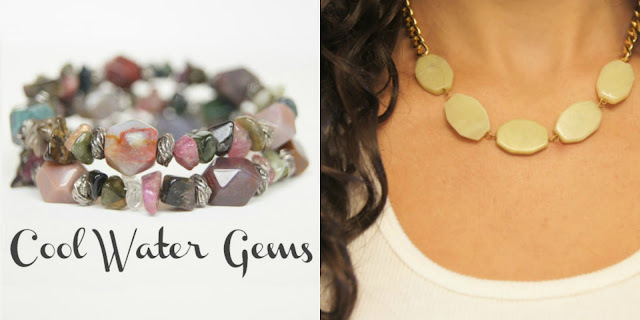 I'm really liking the stuff from cold water gems, has anyone purchased anything from there?